WE ARE OPEN TUESDAYS FROM 4PM TILL LATE AND WEDNESDAY TO SUNDAY FROM 12 MIDDAY TILL LATE. 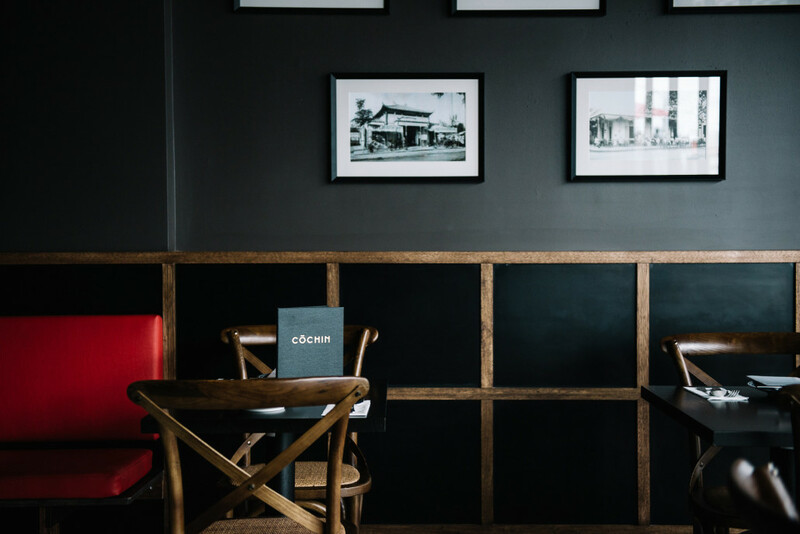 Cochin (pronounced co-shin) is a casual but slick 60-seat restaurant and bar with dark timbers, earthy interiors and contemporary lighting. Our tapas-style share menu features French Vietnamese dishes such as the beautiful duck a l’orange, tender chateaubriand and coconut crème brûlée. The drinks menu is wide and varied with specially designed cocktails, the usual suspects in spirits and a comprehensive wine list focusing on French wines. The April – Mud Crab + Mussel Feast! Join us for lunch or dinner on Sunday 28 April. You’ll love our mouth watering French Vietnamese inspired Crab & Mussel Menu. We will contact you for credit card details to secure your booking. Usually held the last Sunday of every month till May 2019. Our à la carte menu is available everyday. 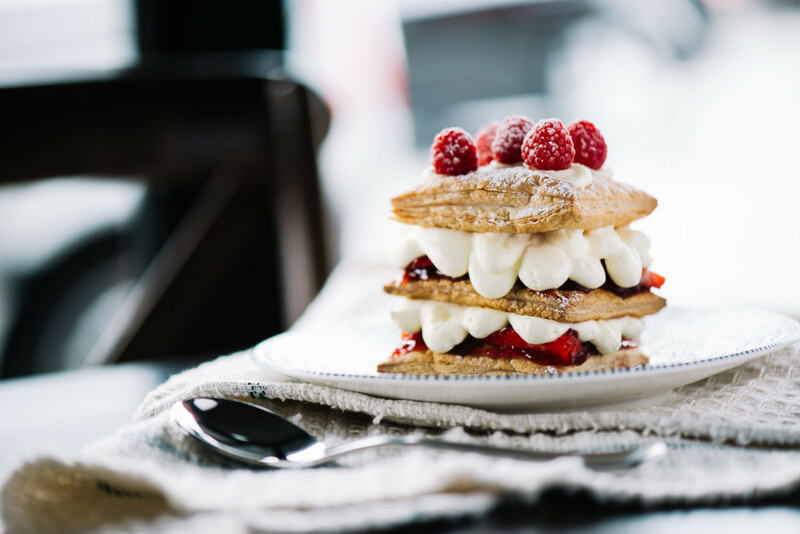 View our current menu here. Our Gluten Free set menu consists of our Chef’s Choice of dishes decided every Tuesday from the variety of our Gluten Free dishes. 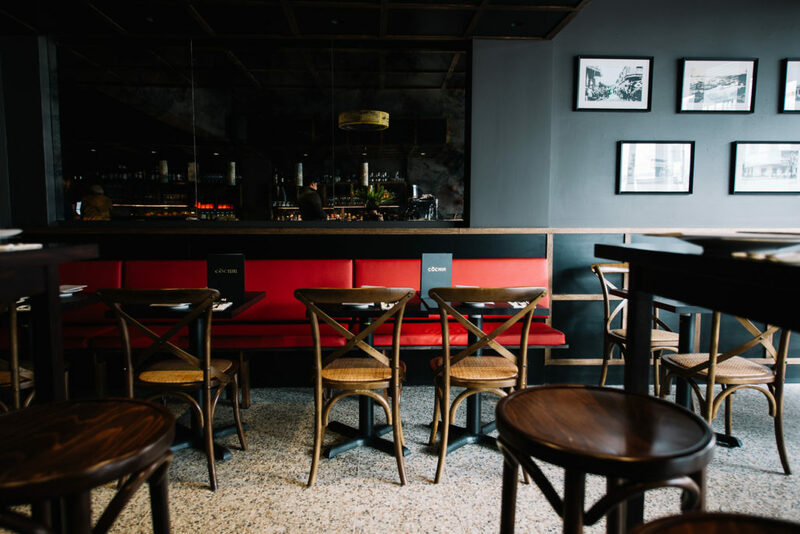 Our $35 Feed Me Menu is available every Wednesday all day and Friday lunch from 12pm – 3pm. Your tastebuds will be delighted with a selection of small and large share plates with free flow rice and chocolate truffles to finish*. *$35 All-Day Wednesday and Friday Lunch Feed Me Menu is decided shortly prior to service. Unfortunately, this menu cannot be altered in any way and therefore may not suit some dietary requirements. Served with a Chicken Wing, & a Pork & Prawn Spring Roll per person. 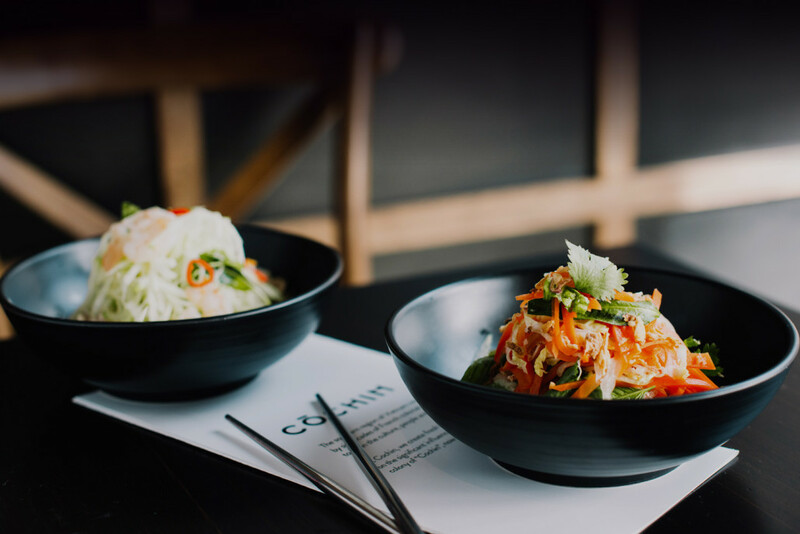 – Pho: Choice of sliced beef, or sliced chicken, served with rice noodles, bean shoots, mixed herbs, hoisin & chilli sauce, fresh chilli. – Banh Mi: Pork, or chicken served with annatto mayonnaise, cucumber, pickled carrots, coriander, onion & chicken liver pate. 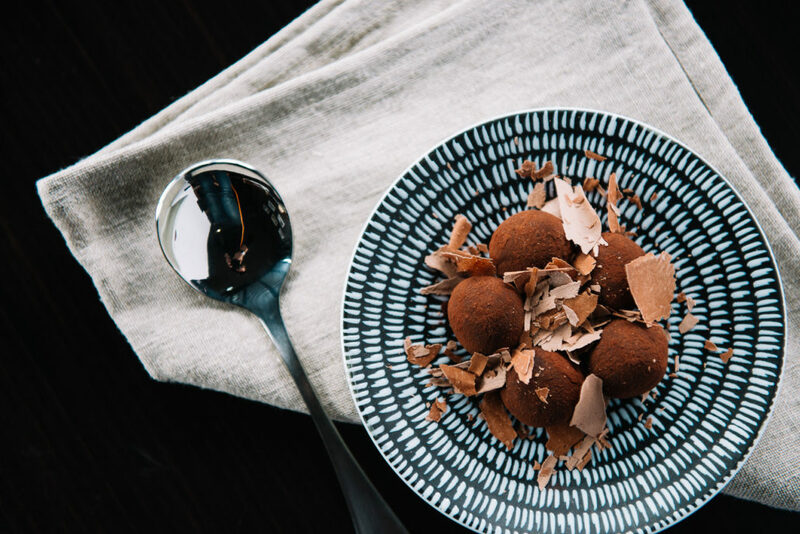 – Vietnamese Chocolate Mint Truffles for dessert. To make things just that little bit easier when dining with your little ones, we offer a special kids menu. View menu. WE ARE OPEN TUESDAYS 4PM TILL LATE + WEDNESDAY TO SUNDAY 12 MIDDAY TILL LATE. Walk ins are welcome however it is advisable to book in advance for a Friday or Saturday night sitting. 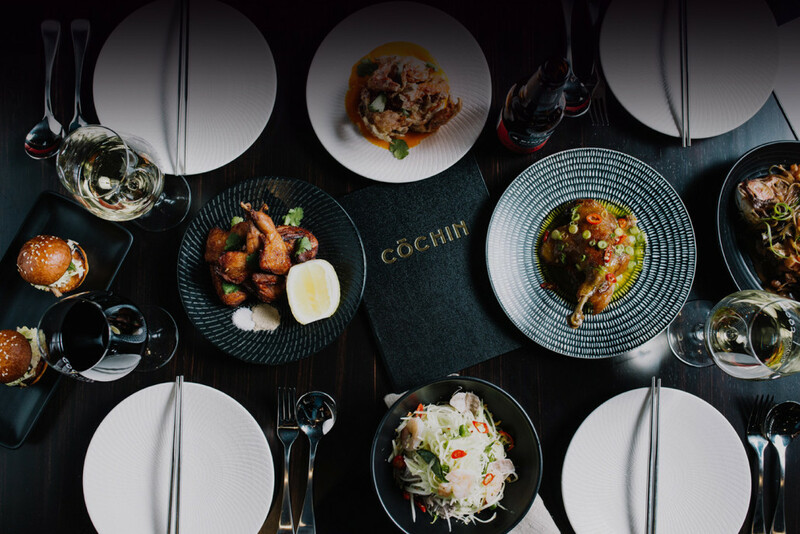 bookings@cochin.com.au with your event details. WE WILL BE CLOSED ON EASTER FRIDAY & EASTER SUNDAY, & WILL BE OPEN ON ANZAC DAY & NIGHT. Public holidays incur a 15% surcharge. Our Bar and 60 seat Dining Room caters for sit down lunch and dinner functions as well as cocktail parties and other stand up events for 100 people. 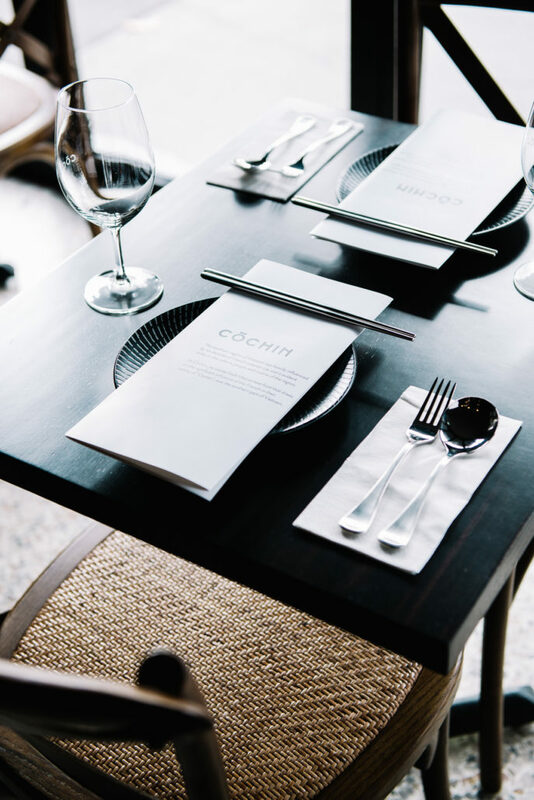 Whether you are planning a corporate event, a family function or other special event, Cochin offers the very best and is an outstanding value proposition.For large groups over 6 involving a sit down lunch or dinner we have a choice of 2 set menus at $55 or $65 per person. These 2 set menus are available Tuesday to Sunday, and are the choices for a Friday or Saturday night sitting. Please review these options by clicking here and see page 2. These set menus are available to a minimum 4 people. Beverages can be purchased on consumption however we can tailor a beverage package for your budgetary requirements.Similarly as enjoyable is our finger food option for stand up events. With these types of events we can create a food and beverage package for you on request. 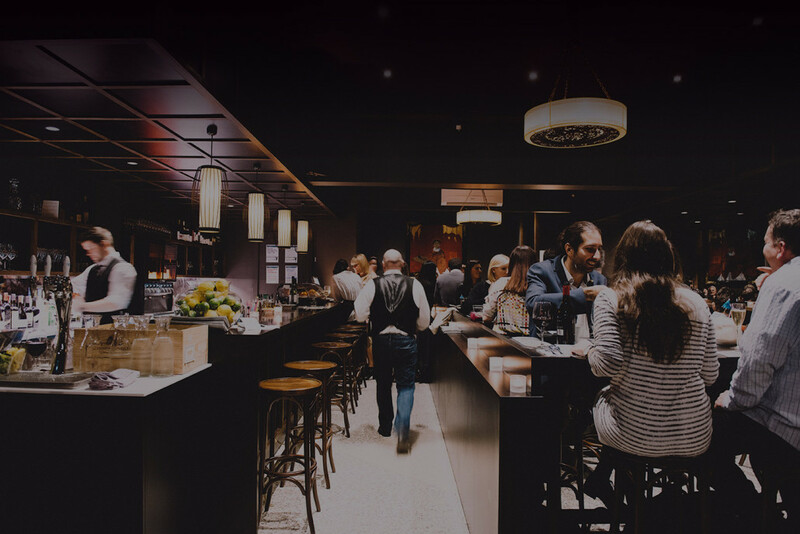 Exclusive venue hire is also an option.Terms and Conditions apply for all group bookings over 6.Please email bookings@cochin.com.au or call 9421 0510 to discuss your requirements.